To attract upscale, sophisticated renters who love the urban lifestyle, we converted a large commercial property for our client in the city of Lancaster. 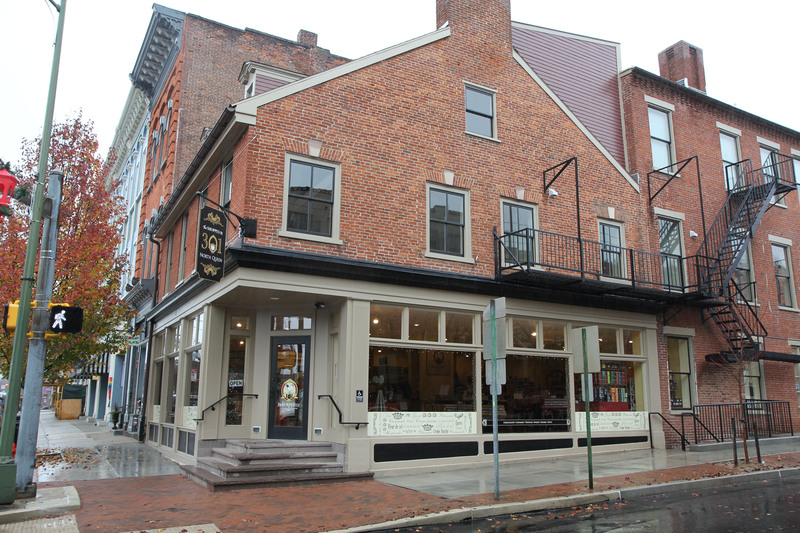 The first floor is used as a charming neighborhood café in downtown Lancaster’s Heritage Conservation District. 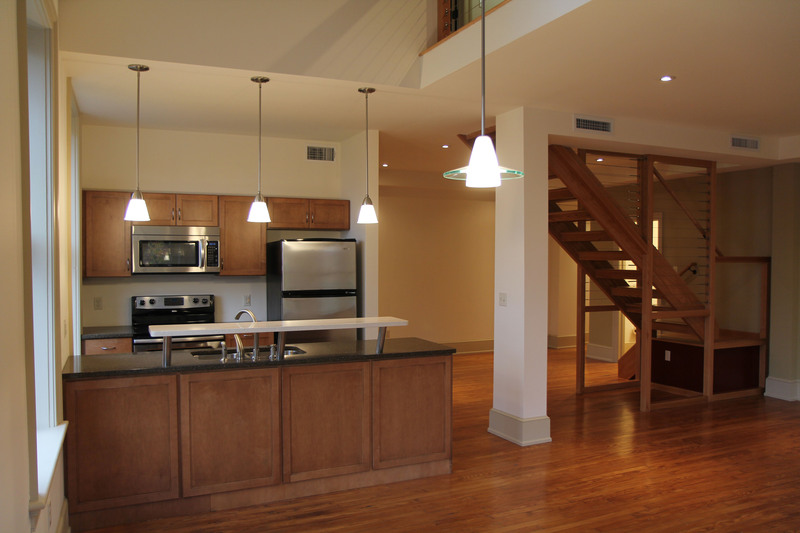 We transformed the upper floors into 3 apartments with contemporary floor plans incorporating open spaces, bright natural light, warm woods, brick, accents, and neutral colors that make this property a premier choice for renters, with a perfect combination of comfort and sophistication. Large windows in the upper floor apartments connect the residents with the bustling streetscape below. This adds to the attraction and appeal, in homes that are just steps away from shops, restaurants, and the activity of city life. The exterior design elements, from the café at street level to the top floor apartment, are within historic preservation guidelines for this historic neighborhood. The “floating” galley kitchen is part of the open living area, making this a beautiful space for entertaining and social activities. Stainless steel appliances appeal to the urban dweller and are warmed by the natural wood tones of the cabinets, floors, and staircase. 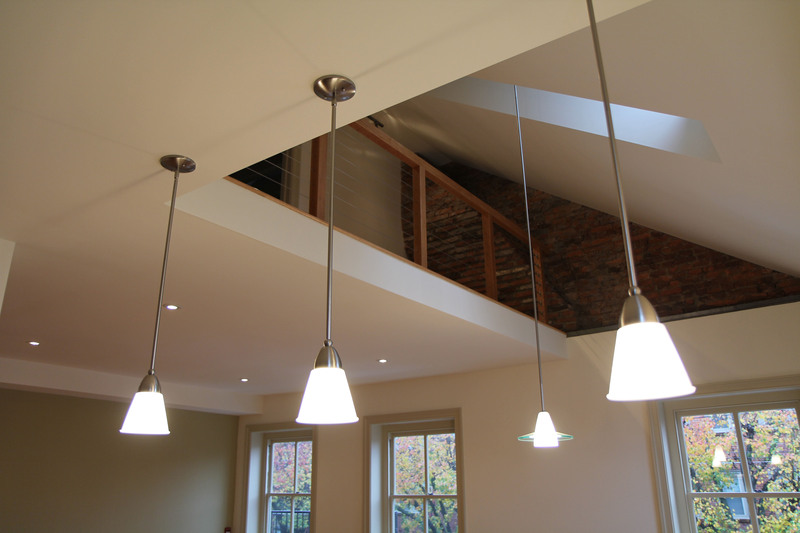 Lighting is a mix of fixtures and recessed can lights that allow for the intensity of light to be changed for different mood preferences. 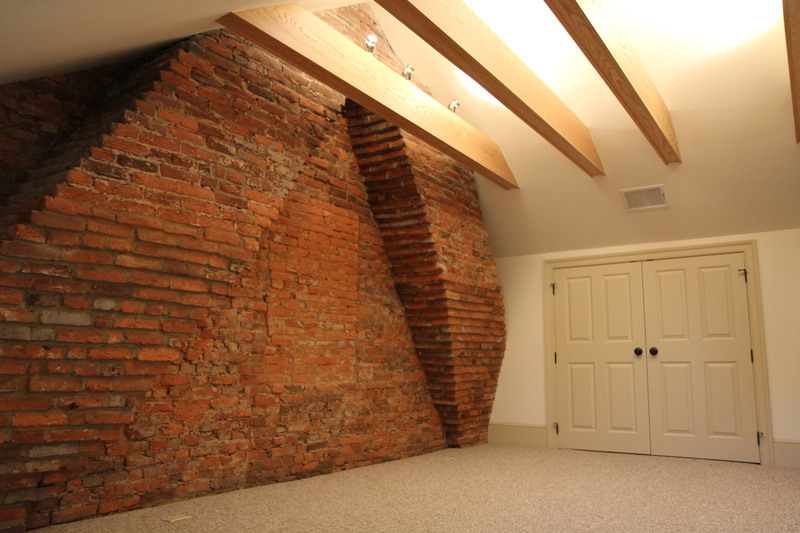 The exposed brick in the master bedroom has aesthetic appeal and retains the historic ambiance that is complemented by wooden beams in a vaulted ceiling. The original ceiling was removed to create this impressive space. Neutral colors allow renters to add their own personal preferences in furnishings and accessories without clashing with the interior. Double closet doors add a design element to a practical feature of the room. The floor outlet in the carpet is a small detail that is a huge benefit in giving residents flexibility in furniture arrangement within the room without cluttering the brick wall. The skylight and open loft allow the exposed brick to be seen from the main living area. 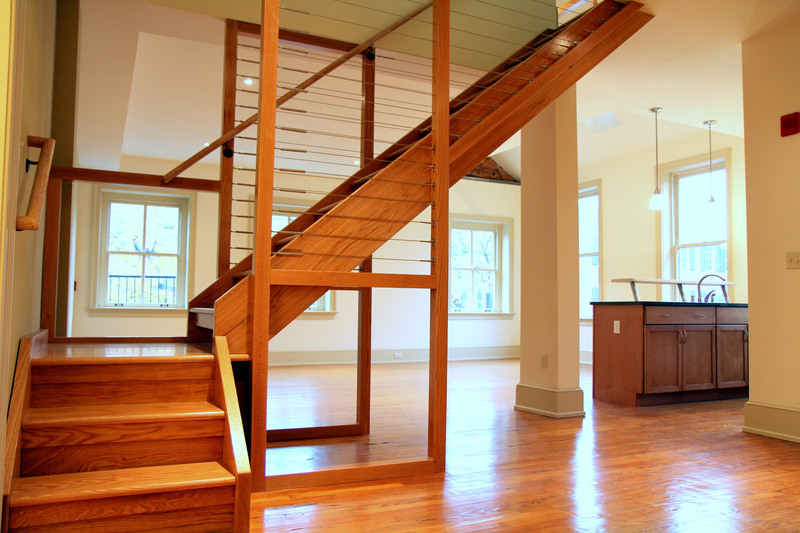 Cable railing contributes to the open feeling of the interior design, while adhering to safety standards. The mix of angles, light (both natural and artificial) and surface textures give this apartment immense visual appeal.